Business is a risky endeavor. Sometimes you hit the jackpot, most of the time you don’t. And it is undoubtedly such a big market in America. Over 24 million people make money from retailing, so the competition is tough, to say the least. When you think of retailing, you often relate it to fashion and apparel when the truth is that almost all sorts of goods and services are provided by the retail industry. Examples of which are electronics, appliances, auto parts, food and even other aspects of skilled labor. An entrepreneur can build a retailing empire in the world today because it is one of the fastest growing sectors in the market. As long as you can offer the consumers something they need or possibly want, you can make it big. Unfortunately, competition is tough as already stated above. Some risks pay off while others can lead to bankruptcy. Many physical stores are actually closing today because people rarely shop in malls these days. They prefer doing it online like almost everyone else does. Amazon recently posted its eighth straight quarter of growth. In fact, in the first quarter of 2017 its revenue grew by a jaw-dropping 23 percent, hitting net income of $724 million. Amazon Prime subscribership jumped to over 80 million members, representing a gravity-defying increase of 36 percent. And, while slowing marginally, Amazon Web Services, the company’s cloud computing cash cow, continued to post growth in the mid-40 percent range, giving Amazon plenty of cash to burn on furious innovation. For one, Amazon continues to expand the capabilities of its Alexa Voice Service, the operating platform of its popular Echo digital assistant, a technology that not-so-subtly aims to disintermediate not only Google but every retailer on the planet from the consumer product search process, 55 percent of which already defaults to Amazon. Amazon sold apparel, shoes, appliances, and many other knick-knacks for a while now. Amazon has indeed mastered the art of online retailing. However, you’d rarely hear people bragging about how much they enjoy shopping on Amazon. Sure, you find a lot of great finds but it can be laborious and somehow stressful trying to look for a great deal in the vast assortment of products sold on Amazon. However, online shopping took out the fun in retail therapy that people used to love. The arrival of Amazon will be an existential moment for some retailers and it will almost certainly trigger of wave of industry rationalisation. But it will also have a Darwinian flavour – a test of adaptive skills and survival of the fittest. Since the US e-commerce giant last month formally announced its intention to expand in Australia, there has been a rash of analysis on the extent of the damage Cyclone Amazon will inflict on the retail sector, most of which has been extrapolated from its arrival in other countries. For Australian retailers, the entry of Amazon will have a greater effect than the imposition of the goods and services tax or even the more gradual entry of online competitors. 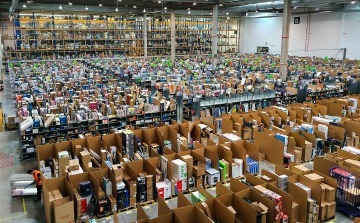 A report from international ratings agency Standard & Poor’s in May sums it up, saying “the tide of change that began with internet commerce has built into a tsunami called the Amazon Effect, resulting in bricks and mortar retailers shrinking their physical footprints while focusing on shifting more business online or risking being relegated to the remainder bin of retail history”. Amazon got retailing figured down to a science. If you think selling your own stuff by yourself is quite a challenge, selling through Amazon gives you a better chance of being seen by consumers and eventually making a sale. The network of retailers is vast (with over two million retailers – both big and small brands) and you can surely find something that will interest the consumers. Getting your product sold is quite simple. Just list down your product on the site and consumers will likely find it there despite the long list of competition. Yet despite it all, businesses have been moving their products and making profits. Retailers can even opt for the Fulfillment by Amazon service where Amazon will do absolutely everything for retailers for a total hassle-free selling.